WHITESBORO, NY, Feb. 12, 2017 The Good News Foundation donated $1,000 to Mother Marianne’s West Side Kitchen, as part of the Good News Center's 11th Annual "Dance the Night Away" dinner-dance, held Feb. 11 at Hart's Hill Inn. See In the Soup Blog. After "celebrity" dancers performed, Good News Executive Director Mike Buckley announced the donation to the soup kitchen, noting its “good work” in feeding the unemployed, struggling families, and the homeless. 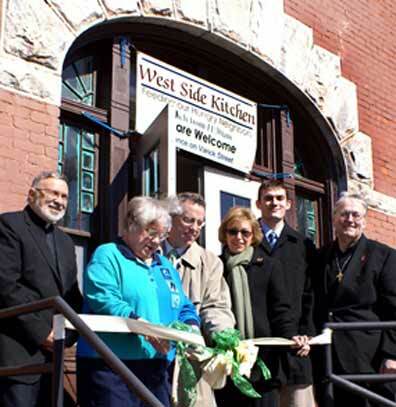 West Side Kitchen Advisory Board Chair Robert Stronach accepted the check on behalf of the board, volunteers and guests.